For our string of posts this time around, I’ve asked everyone to put together their version of a book review. It could be a book they just read or something that is a favourite or an influence. I decided to go this route because I just did a book report on our own Steven Montano’s Blood Skies and quite enjoyed the process (check it out here), so I thought it would be fun to have everyone do it for the Guild. As is always the case when you assign a writing project to a bunch of writers (funny, they’re the ones who always insist I pick a topic), much complaining and bellyaching ensued. Now this didn’t make much sense to me. As I said: I had just completed doing such a post on my own blog, why did they look on this as being so difficult? I understood when it came time to choose a book to review. 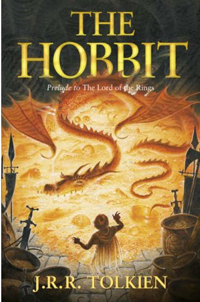 Of all the books I’ve read and loved (if I finished it, I must have enjoyed it. I don’t have time these days to waste reading a book I don’t like) how do you pick just one? Since I’m posting first, I get the opportunity to look like I came up with the idea of reviewing a series. As far as you all know, that is the case, so disregard the fact that several of the other members of the Guild are doing similar. They copied me. I swear. 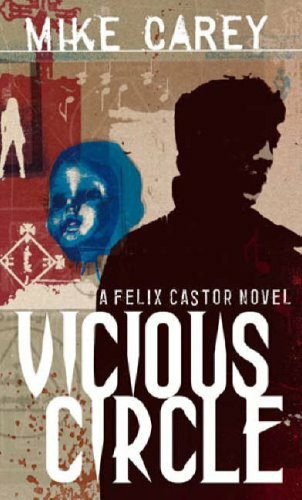 I have chosen to write about Mike Carey’s Felix Castor series. Before creating Felix Castor, Mr. Carey was best known for his work in comic books, notably Lucifer, Hellblazer and a stint with X-Men. 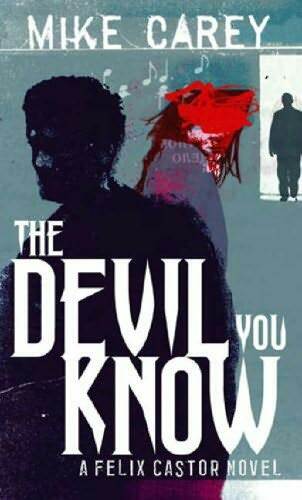 In 2006, the first Felix Castor novel (The Devil You Know) was published, followed by Vicious Circle in late 2006, Dead Men’s Boots in 2007, Thicker Than Water in 2009 and The Naming of the Beasts in late 2009. Rumour is there is a sixth, as yet unnamed book due in 2013. The series takes place in an alternate London where the dead have risen from the grave in such numbers and different ways that there is talk of giving them rights like any other citizen. With ghosts, spirits, zombies and loup-garous roaming the streets, there is great demand for the talents of our protagonist. Felix Castor, or Fix to his friends, is an exorcist. In fact, in an interesting little touch, he uses a tin whistle to play lost spirits on their way to the afterlife. The first thing that caught me about the series was the originality behind the concept. It probably sounds funny now to say that, because there are many writers out there writing similar scenarios, but this was the first time I saw it and I believe he was one of the first authors doing it. Some of the facets of the series arc I found interesting: one of Castor’s associates is a zombie who is obsessed about prolonging his time on earth so lives in an abandoned theater that he has turned into a giant refrigerator; another associate is a succubus who barely controls her powers to aid him. And there’s back story to the whole thing that most authors wouldn’t have had the restraint to keep from writing a novel about: Fix’s best friend Rafi is possessed by the demon Asmodeus, and it’s Castor’s fault. There is a depth to this and other elements of back story that is usually reserved for epic fantasy and seen far less in urban fantasy. The second thing that stands out to me about the series is Mr. Carey’s detailed descriptions of London. It is obvious he not only lives there, but also has a real connection to the city. His descriptions aren’t rambling and poetic, but he has a knack for putting the reader in the scene–feeling the foggy nights of London and breathing in its long and storied history. A few choice words, a few choice details to put you at King’s Cross, or in a church or graveyard, standing beside Castor as he plays his tin whistle. Lastly, and most importantly, the writing. The plots are intricately wound, the characters feel alive, and his choices for description are unique. One that has always stuck with me (and pardon me for paraphrasing) is when Felix wakes up with a hangover and Mr. Carey describes the sunlight as coming through the blinds like a serial killer wielding a chainsaw. I’ve been there on that morning myself. Looking back, it is likely this series of books that prompted me to even consider writing urban fantasy. 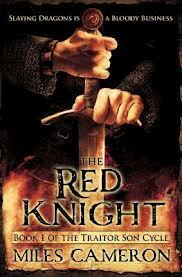 The first novel I ever began (and will one day finish) was sci-fi, the second was epic fantasy (Blood of the King). It wasn’t until after I got Vicious Circle out of the library, trying an author I’d never heard of based on the front cover art and back cover blurb (hint, hint writers), that I wanted to try my hand at urban fantasy. Our styles are very different (I’m more often compared to Jim Butcher than to Mike Carey), but one day I’ll meet Mr. Carey and, when I do, I’ll take the opportunity to thank him for both the entertainment and the inspiration. Without Felix Castor, Icarus Fell might not have come to be. Bruce Blake is the author of two Icarus Fell urban fantasies and the newly released epic fantasy, Blood of the King. You can find them on Amazon.